Last Friday I wrote about coping with stress in our daily lives. And after hearing back from several of you, I learned that of the 5 main causes covered in the post, “major life change” was the biggest culprit. And frankly, I can’t say I’m surprised. 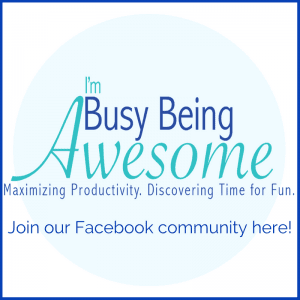 You Busy-Awesome readers are incredibly driven. You’re balancing 1,000 things on your plate each day, and you’re taking care of every tiny detail both at home and at work. Simply put, you’re holding the universe together. Now I don’t know about you, but with everything so precariously balanced, sudden upsets in my regular routine can throw me headfirst into an anxiety spiral. You see, as a schedule-creating, list-making, tradition-keeping, planner addict, I don’t often do well with major life change. And this is especially true when those changes are unplanned. In hopes of minimizing my anxiety about the “unknown,” I’ve spent a lot of time reflecting on its root cause over the past few months. During this time, I’ve discovered that the majority of my stress stems from a lack of control and a sense of uncertainty. Simply put, I feel edgy and powerless when I can’t control the outcome of a new situation. Have you ever felt this way before? It’s tough. Fortunately, I’ve discovered some incredibly helpful strategies that soothe my anxious nerves and create a semblance of control during these moments of change. This has made a significant difference in my mindset, and I’m excited to share these techniques with you today. 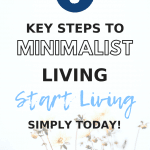 So if you find yourself facing major changes in life – either planned or unplanned – and you’re struggling with how to cope with the accompanying stress, then read on. Because today we’re learning how to reduce stress from major life change and how to end up stronger because of it. In 1967 there were two psychiatrists, Thomas Holmes and Richard Rahe, who conducted a major study on both the cause and impact of stress on a person’s life. They examined over 5,000 medical records of patients who were asked to tally a list of 43 life events. The doctors found correlations between the stressful life conditions and the patient’s illnesses, and then used this information to determine whether stressful events cause illness. Holmes and Rahe found that there are two main types of stress, acute stress, and chronic stress. Is your stress primarily acute or chronic? The men also divided the different stressors into two categories, Eustress, which is positive, and Distress, which is negative. Stress feels different for everyone. Perhaps you can’t sleep and your chest feels tight. Maybe you lose patience easily. Perhaps you feel hungry all the time or you completely lose your appetite. Whenever you start experiencing these initial signs of stress, take note. Spend a few minutes reflecting on the source of this anxiety, and ask yourself: is this stress acute or chronic? Is it eustress or distress? What is the root cause? 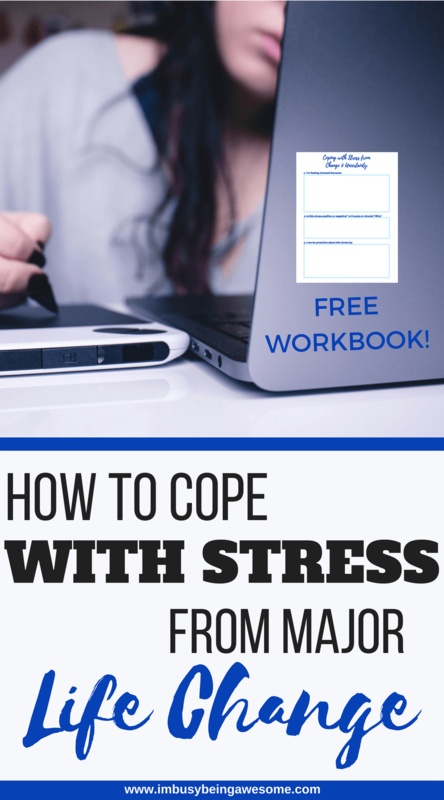 Once you can clearly identify the source of that stress, you can then begin treating it. There are a few reasons why being proactive is a great way to cope with stress. First of all, when you’re busy working, you can’t spend as much time focusing on the “what-if’s”. Second of all, (and perhaps more importantly) by planning ahead, you’re empowering yourself to make good decisions, and you’re mentally preparing yourself to handle different scenarios. Let’s say you’re in college, for example, and you’re incredibly stressed about getting an “A” in History of Film Music. In order to be proactive, you need to carefully plan out your schedule. You should look ahead at due dates throughout the semester, and start working on projects when your professor hands out the assignment sheet (not one day before it’s due). Similarly, you should study regularly, rather than doing an all-night cram session before the big test. This kind of proactive behavior not only sets you up for success, but it also settles your anxious nerves, because you know you’re doing everything you can to succeed in the class. Being proactive is not just about scheduling, of course. You can be proactive for all types of situations. Let’s say you’re moving to the Midwest, and you’re concerned about tornados. You catastrophize the situation, and you worry constantly about everything that could go wrong. Create a family emergency kit, invest in an all-weather radio (this is the one I have), make sure you have personal property insurance etc. When you plan ahead for stressful situations, you’re simultaneously taking control of your life while quieting the unnecessary stress. Though I realize it can be an incredibly difficult task when you’re feeling overwhelmed, focusing on the positive often relieves our tight chest and helps us breathe a bit deeper. For example, as we make dinner each night, my husband and I try to name one thing for which we’re thankful each day. And while we don’t remember to do it every evening, each time that we do, those bright rays of positivity help break through the clouds of stress. So if you feel yourself spiraling into a pit of anxiety, push yourself to focus on the good. And if possible, share that positivity with someone else. Remember, these feelings are contagious. So by sharing them, you’ll not only put yourself in a good mood, but you’ll also spread the love to others. Just as it’s helpful to share the positive with someone else, it’s also important to express your feelings of anxiety, vulnerability, and sadness. Why? Because simply speaking those internal fears and insecurities out loud – while terrifying in itself – helps minimize their pain and reduce their power. I was battling with this challenge just last week. As I mentioned in an earlier post, I’ve been struggling with a lot of anxiety surrounding my new job. I’m overwhelmed with feelings of failure and “imposter syndrome,” and the stress has had an unhealthy impact on my life. On Thursday, however, I went out for lunch with my friend and mentor. He knew I was having a difficult time, but I hadn’t yet let my guard down entirely. Because I respect him as both a friend and scholar, I was afraid to be vulnerable and let my weaknesses show. But on Thursday I finally did. And you know what? It was so helpful. First of all, simply speaking those fears out loud helped me pinpoint the real causes of my stress. But even more helpful was getting an objective outside opinion. Because he doesn’t see my situation through the lens of perfectionism that I do, he helped put things into perspective for me and silence that negative self-talk a bit. So if you’re overwhelmed by the anxiety of failure, of unpredictability, or of the dreaded “what-ifs,” find someone you trust and share your feelings with them. I think you’ll be amazed at the positive difference it makes. When you find your stress rising due to uncertainty at work, fluctuating financial problems, a new living situation, etc. strive to maintain consistency in the other areas of your life. Keep a regular schedule. Wake up at the same time each day and follow a healthy morning routine. When it’s time for bed, maintain a calming nighttime routine as well. Continue exercising regularly, and eat healthy meals each day. If you can maintain this regular stability in your life, it helps you take the bigger unpredictable challenges in stride. To combat this anxiety spiral, however, I’ve started “scheduling” time to worry. And while this might sound a little silly at first, it’s amazingly helpful. For example, let’s say I keep worrying about getting my book finished before the end of the school year (because I do). I used to waste an incredible amount of time and energy worrying about this each time it popped into my head. Then, when 4:30 finally rolls around, I get proactive. I dedicate my complete focus to the concern, and I create a plan of attack. I make a timeline for my research and writing days, I decide when I’ll complete my edits, and I pinpoint when I’ll send the final draft to my editor. The best part about this strategy is that it prevents future worry as well. If my mind starts spiraling downward, I simply remind myself of my plan and stop stress in its tracks. 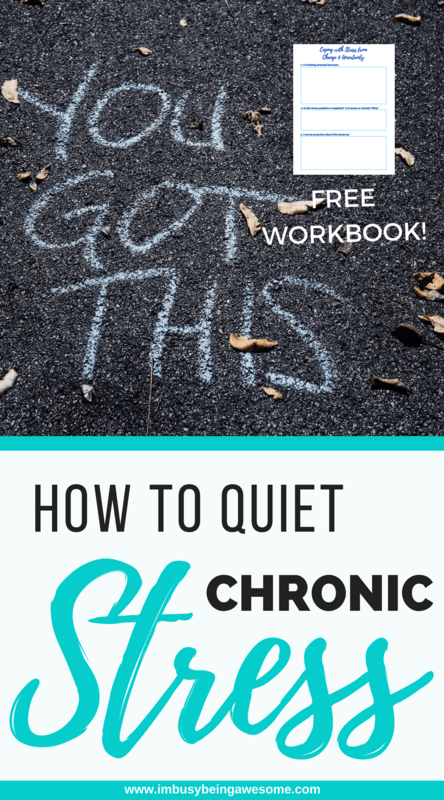 Do you want to calm that exhausting inner voice? 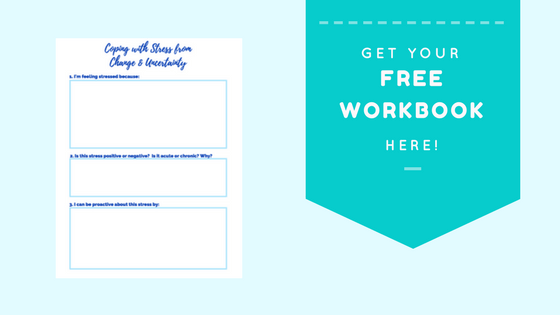 Then download my FREE workbook by clicking on the image above. 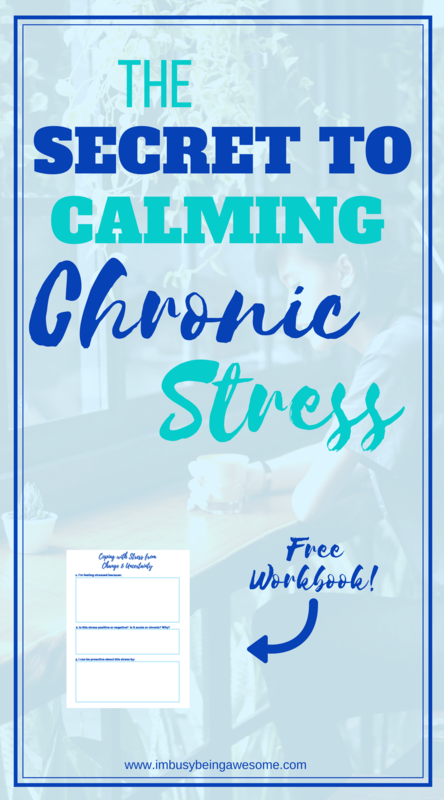 Next time you face a big life change, or you feel those familiar inklings of anxiety creep up inside of you, take a moment to reflect on the root cause of that stress, work through the worksheets, and kick stress to the curb. Have you dealt with any life changes recently? 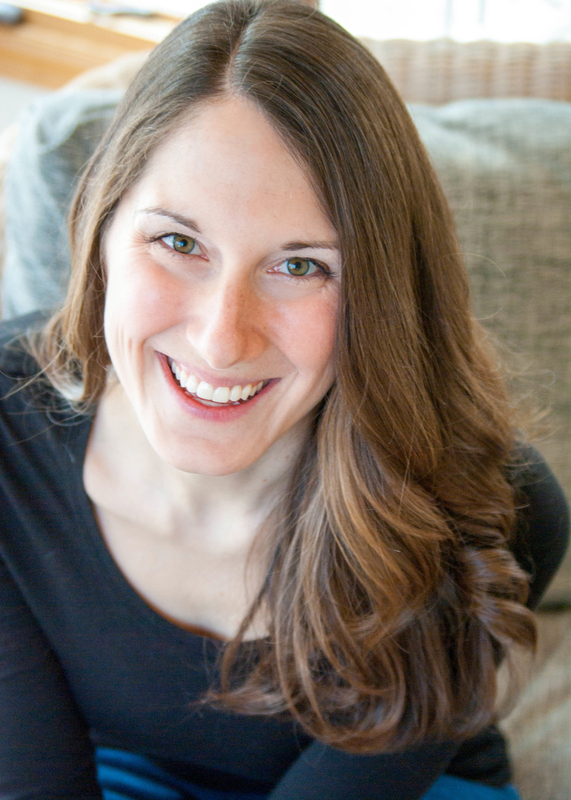 How do you reduce stress from a major life change? 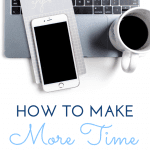 Have you tried scheduling time to worry? Let me know below! Scheduling time to worry is something new, I’ve never considered that, but it’s pretty interesting. This is so helpful! 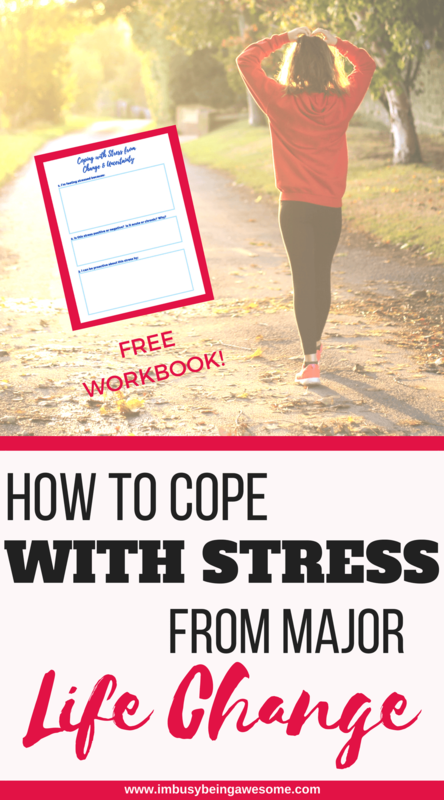 As a student I am often under a ton of stress and always looking for ways to manage it. I really like talking it out like you said, gives me a sense of freedom from my stress. I’m so glad the tips help; as a college professor, I know the stress you students feel so consistently. I’m glad you’re able to talk it out to help you break away from the stress a bit. This is a great list. A big one for me is maintaining consistency in other areas of life…so you feel like EVERYTHING isn’t falling apart. And trying to adjust my expectations in positive or negative situations. My own expectations sometimes create even more stress. Yes! I feel the same way. It’s so helpful to have consistency somewhere. And adjusting expectations so they’re realistic really helps, too. Thank you! It’s amazing how much of a negative impact stress can have on our mental health. Great suggestion with maintaining consistency in other areas of your life! That is so helpful and definitely something I need to focus on! Thanks! I’ve found it to be quite helpful. This is really good. I wish I had ready it a few years ago. We moved to a new and BIG city from our rural town. While the move was awesome and good for us the stress from the change was more than I expected. I did okay but having more coping mechanisms would have helped a lot. Wonderful article. Life as a blogger and mom to children with life threatening allergies is both chronically and acutely stressful. 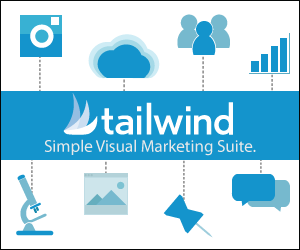 Your information and insights are very helpful. Oh my goodness – I can’t imagine the stress with such allergies. I hope these strategies help! 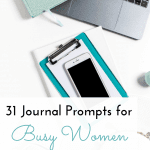 Scheduling worry does sound silly, but I wonder if that would work for me as well… I love the idea of reminding my brain it’s not time to worry about that yet! Yeah, it seemed silly to me at first, too. But it’s worth a shot! I’ve found it helpful:) Let me know what you think if you do. I have some big things coming up so I will have to keep this in mind, I find that focusing on the end goal (the positive) helps me a lot. I feel like I am much better at managing my stress than I used to be but will definitely implement some of these tactics! That’s great that you’ve found strategies that work for you! Thanks, Jordan! I hope they help. And I’d love to share; I research film music, and the book I’m writing examines the American composer Aaron Copland and his role in Hollywood film music between 1939-1949.